Great hostel with a great location for getting around. The rooms were spacious and the beds were really comfortable. Loved this place. Newley renovated, great facilities. Only thing to note is the huge hill to walk up with you backpack which is obviously nothing to do with the Hostel. 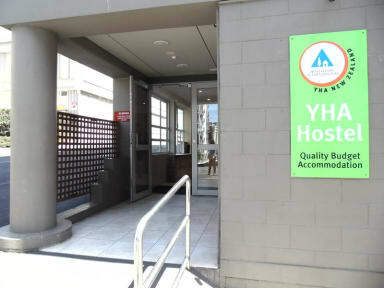 The normal YHA standard in NZ. (good kitchen, good beds, clean, good lockers... but it lacks the soul, atmosphere of the hostel...) Staff is not very friendly (except for Blake... he was awesome!) But definitely you should stay in the YHA city instead of the YHA international! Really clean, good facilities. 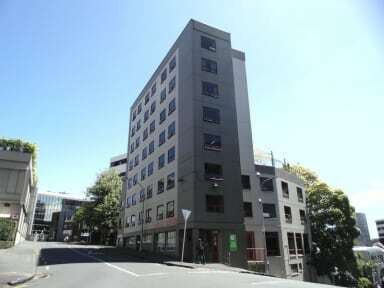 I think that the location is pretty decent - just a few minutes walk down Queen Street into the centre, but far enough out that it’s quiet enough to sleep with the windows open. I would also rate this YHA over the other YHA one, it generally feels bigger, more spacious and better equipped, although the dorms are a little more dated. Nice modern hostel. Good rooms & great big kitchen. Laundry facilities on basement level good too. Luggage storage prior to check in- fab! Situated half an hour walk for main centre.. near university area which is nice walk down to front. Bathroom & room nice and clean. social hostel- great size lounge area & kitchen so everyone can sit & eat together. Nice atmosphere. It was a nice hostel. There was some confusion since they dont assign bunks. I did not have a clean bed and reception was able to quickly fix this issue. I did wish the showerheads were higher because some of them were to short to be easy for my almost 6 foot tall self to use. Unfortunately, I would not recommend this hostel to anyone, especially if you're a solo traveller. There was literally no atmosphere there and the hostel is next to the main road and the bedroom did not have an aircon so I could not only sleep at night because it was incredible hot but also coz I could hear everything that was happening on the streets. one of the most boring and overpriced hostels I've ever stayed ! !